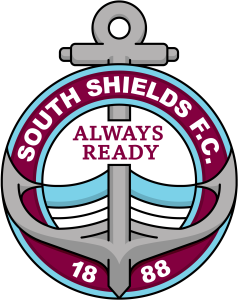 South Shields joint manager Lee Picton heaped praise on the huge travelling support after over 500 Mariners cheered their team to a 3-1 Bank Holiday Monday victory at Scarborough Athletic. A brace from Luke Sullivan and one from Matty Pattison secured the points for Shields as they continued their 100% start to life in EVO-STIK North. The game between the league’s early top two attracted a crowd of 1,667 at Flamingo Land Stadium, with a superb atmosphere generated by both sets of supporters. At the end of the match, Shields’ players and staff showed their appreciation for the terrific and vocal support they had been given throughout. Picton said: “We had to do that, when hundreds and hundreds of fans had taken time out of their Bank Holiday weekend and spent their money to come down and support the team. “It really is absolutely heart-warming and uplifting. Picton also had praise for the organisation of the staff at Flamingo Land Stadium, and the way Boro kept going at 3-1 and a man down in the second half. He added: “We worked them really hard, but they kept going right until the end and created a couple of chances in the closing stages. “They’ve got a very defined gameplan and use Jimmy Beadle very well at the top end, getting players in and around him, which caused us some problems at times. “I’m sure they’ll cause every other team in the league problems. “The welcome we were given at the ground, and the organisation, was top-class. Watch Picton’s full interview at the top of this page. Reserves hope to get back to winning ways – can you lend your support?